Falls From Vehicles – Why do I need to take any action? Fall-from-vehicle incidents can cost your company a lot of money. In 2004/05, the human and economic cost of the fall from- vehicle incidents we know about was over £36.5 million” HSE, Preventing Slips, Trips & Falls from Vehicles. Death and serious injury resulting from falls from tall vehicles, trailers, HGV’s and wagons are an example of situations faced by far too many transport workers, their families and Employers. Employers need to consider the full picture of the pain and suffering of the individual worker and the financial and social impact on that worker, their families and of course the Employer’s business. Transport workers have a rate of injury caused by falling from vehicles that is four times the average for all height workers. 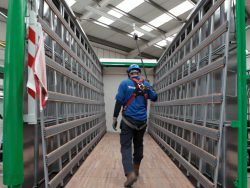 The severity of injuries is nearly double that of all other injury claims and generally occurs during trailer maintenance. The Transport Industry needs to recognise that the risk of injury to workers caused by falls from vehicles is a significant one for the employees concerned, the employer and the industry as a whole. Like any other risk that threatens life, limb or company viability, the risk of falls from vehicles must be managed. 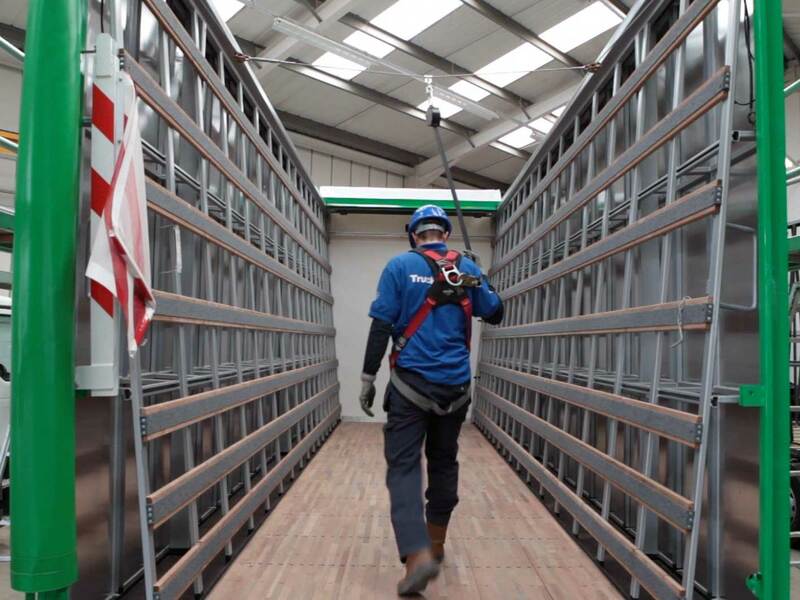 Risk must be assessed when considering trailer top maintenance, as with any other fall from height situations, and appropriate methods to control the risk put into practice and reviewed regularly. This approach will not only minimise the likely impact of the risk but it will enable the industry to demonstrate that it is meeting its responsibilities both legally and morally. A fall into a container such as a bin, tanker etc. Heightsafe Systems will answer your Technical Questions, Compliance enquiries or if you simply wish to discuss your needs, we are here to help you. Please either call or send us an enquiry with a brief overview of your requirements. Please feel free to read a case study of work we did for Pilkington UK.